This amazing planet is filled with creatures, critters, and all sorts of crazy-looking beings- many of which we haven’t even discovered. In fact, there are over 1,367,555 non-insect animals that have been identified, and that number represents only 1% of all animal species that have ever lived! All over the world, we come across the most beautiful animals…and the creepiest ones as well. The following 11 animals are almost unheard of; join us as we discover what lies beyond their hidden mystery. The pangolin is a solitary mammal. They are nocturnal, and will either sleep in burrows or trees during the day. They basically look like a scaly anteater, and their diet consists of a variety of insects and insect larva. The body of a pangolin is covered with scales, which are made of keratin- the same protien that forms fingernails and human hair. Even though you might not have heard of the pangolin, they are the most illegally-trafficked animal, and have been poached to near-extinction. No, that’s not an alien facehugger coming out of that creature’s mouth, that’s actually it’s nose. 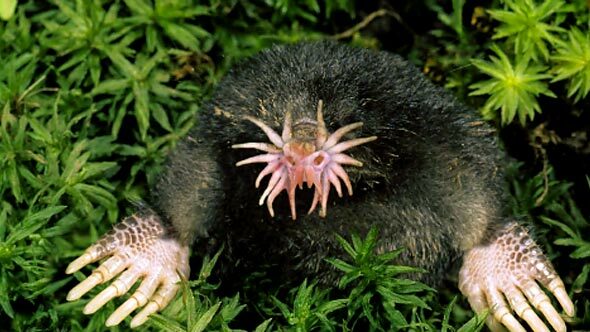 The star-nosed mole has a nose only half an inch in length, but it holds over 25,000 mechanoreceptors, called Eimer’s organs, which give it an incredible sense of smell. In fact, this animal has the most sensitive nose in the entire animal kingdom. Which comes in handy because it is nearly blind, and hunts most of it’s prey underground. 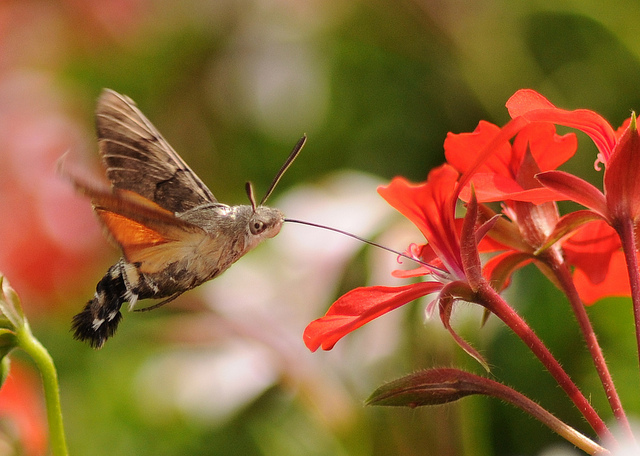 The hummingbird hawk moth is named that for a very obvious reason: It is a moth which resembles a hummingbird. These moths can be found anywhere from Portugal to Japan, and thrive in summer temperatures. Hummingbird hawk moths have a long proboscis for collecting nectar, hover over flowers, and even make a similar audible hum, much like their namesake. 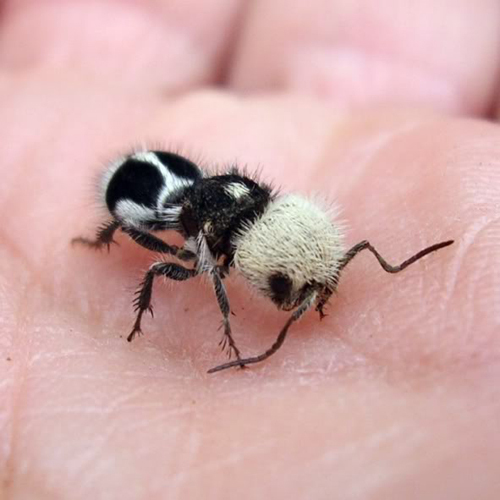 This is by far the coolest-looking creature I have ever seen. The glaucus atlanticus (also known as the blue gaucus, or blue dragon) is a type of mollusk with an array of interesting capabilities. Averaging around 3cm long, these little guys spend most of there life floating upside-down on the surface of the ocean. They have a unique type of camouflage called “countershading”, which protects them from both aerial and underwater predators. 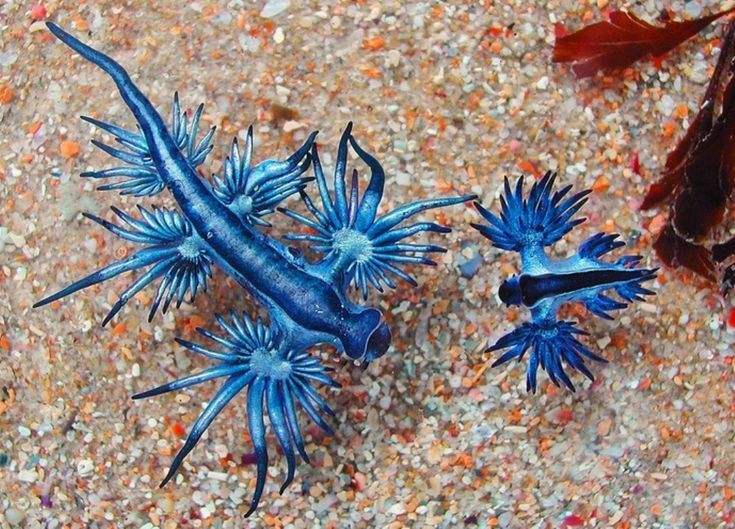 Also, glaucus atlanticus tend to eat jellyfish, even the dangerous Portuguese Man-O’-War. However, instead of being harmed by the Man-O’-War’s poisonous sting, the glaucus will swallow the stinging cells and store the poison within itself, to later be released for it’s own defensive purposes. 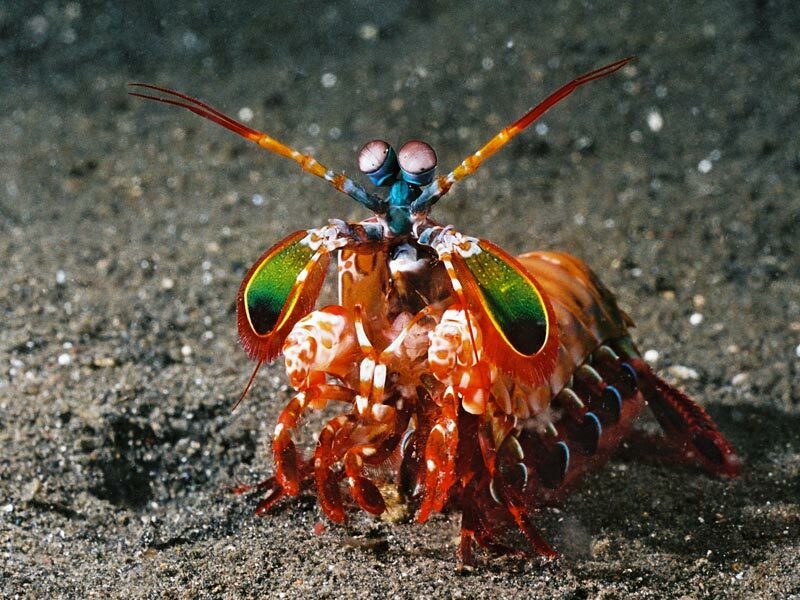 The mantis shrimp is brightly-coloured and considered to have a rather destructive attitude. Like praying mantises, mantis shrimp use a specialized pair of forelimbs, the raptorial appendages, to capture prey. These appendages can reach speeds up to 23m/s under water! Despite how ferocious these creatures look, they are considered harmless to humans. Maybe that is because of the extreme depths in which they are found, or maybe it is due to their lack of speed. 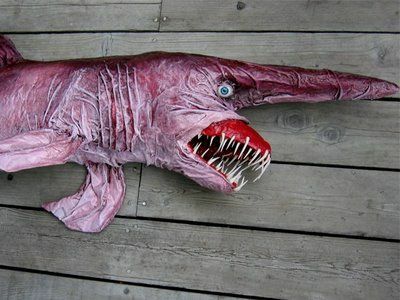 Goblin sharks have an incredible history and come from a lineage dating back over 125 million years. The thorny dragon is a lizard species native to Australia. An interesting defense mechanism of this animal is it’s “false head,” which is used to distract predators from, you guessed it, the real one. They are covered with thick spiny ridges, that not only look super-stylish, but serve a very useful purpose. These ridges help to collect rainwater anywhere on the lizards body, which can then be transferred to it’s mouth. 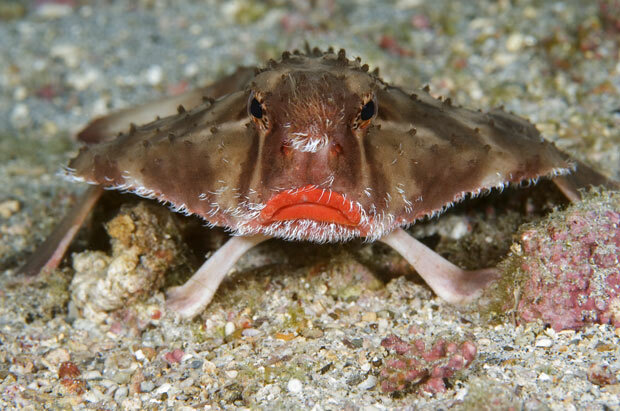 No, it’s not a fish wearing lipstick, it’s a red-lipped batfish. Scientists believe the brightly-coloured lips are used for mating purposes; the male batfish will have much brighter lips to attract the female. Another fascinating tidbit about them is how they get around. The red-lipped batfish are terrible swimmers, so they spend their life walking on the ocean floor, using their fins as legs. That’s pretty cool. 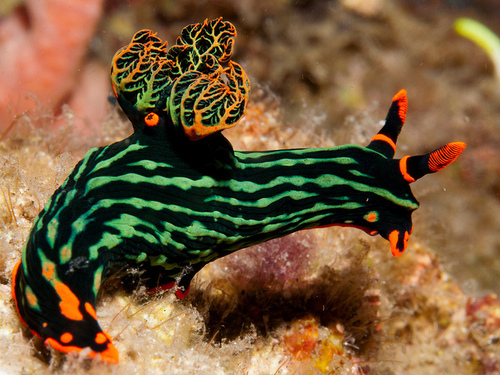 This vibrant species of sea slug can be found in the tropical waters of the Indo-West Pacific, and can grow up to 120mm in length. They release a slimy mucus, filled with toxins, when they are alarmed as a way to defend themselves and catch prey. Gerenuk, meaning “giraffe necked” in the Somali language, are found in a very small region of Eastern Africa. They are extremely long-necked antelope, with smaller-than-average heads for their body size. They eat standing on two hind legs, and use their front legs to pull down tall branches. There are estimated to be only 95,000 left in the wild. What is the wildest-looking creature you’ve ever seen, and where did you see it? Let us know in the comments!